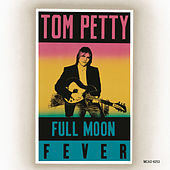 Full Moon Fever was the first time Petty ditched the Heartbreakers to go it alone. Well, not completely alone -- ELO's Jeff Lynn, by now a collaborator in the Traveling Wilburys, co-wrote many of the songs and produced them with a distinctly lacquered finish. The result was trumpeted as a triumphant comeback, stacking up hits like "Free Fallin'," "I Won't Back Down" and "Runnin' Down a Dream." The list of songs here might even best the chestnuts from Damn the Torpedos; among the bridesmaids are well-tooled numbers like "Yer So Bad" and "Love Is a Long Road," leaving nary a dud.